Chinese social networking site Renren.com has reportedly formed a strategic partnership with MSN China in sectors including social networking, instant messaging service, and open platform development. 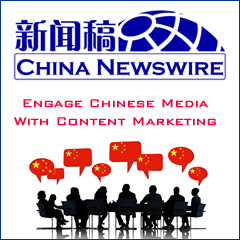 With the strategic cooperation, Renren.com and MSN China will realize account sharing and website function integration. MSN users will be able to login to Renren.com with their MSN accounts; users' updates on Renren.com, including new status and photos, can be synchronously updated to MSN's social sector via a function provided by Renren.com; and MSN users can realize seamless communications with their friends of Renren.com, achieving real cross-platform communications. According to Renren.com's unaudited financial report for the second quarter of 2011, its net operating revenue increased by 53.2% year-on-year to USD30.4 million; and its gross profit increased by 62.8% year-on-year to USD24.6 million. So far, the number of Renren.com's users has increased from 96.8 million in June 2010 to 124.2 million in June 2011. The number of its monthly login users reportedly increased from 25 million in June 2010 to 34.4 million in June 2011. Financial details of this deal have not yet been revealed.